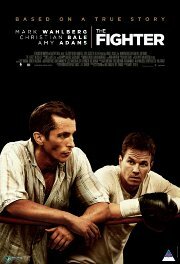 Another of this year's top Oscar contenders, this boxing movie is based on a true story. Set around the 1980-1990s, we follow a younger brother as he tries to emulate and exceed what his older sibling had achieved. Big brother has since become a drug addict and his coach, but the biggest battles for our young boxer are outside the ring, against his own family, especially his domineering mother. Things look up when he gets a new girlfriend who sees through his roadblocks and pushes him to break free from the ties that bind, to find success.